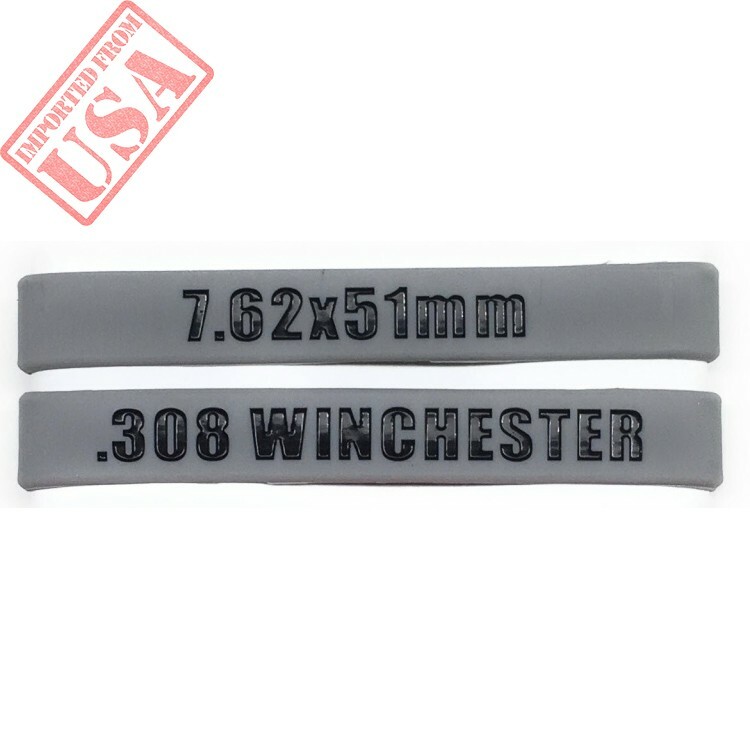 Magazine Marking Band (Mag Band) for 308 Winchester. 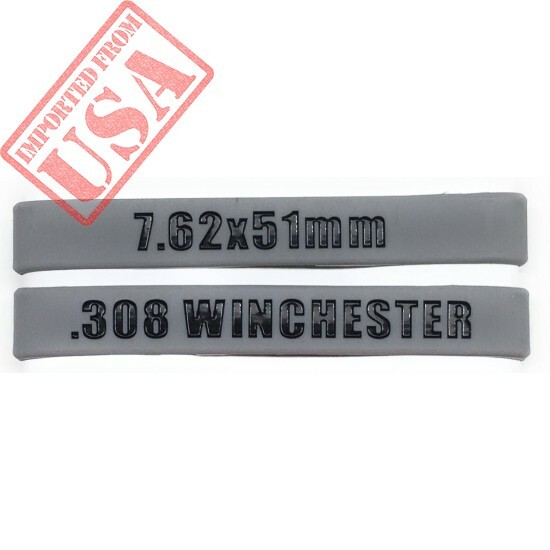 One side is labeled .308 Winchester and opposite labeled 7.62x51mm. Quickly identify mags or simply dress up your rifle. 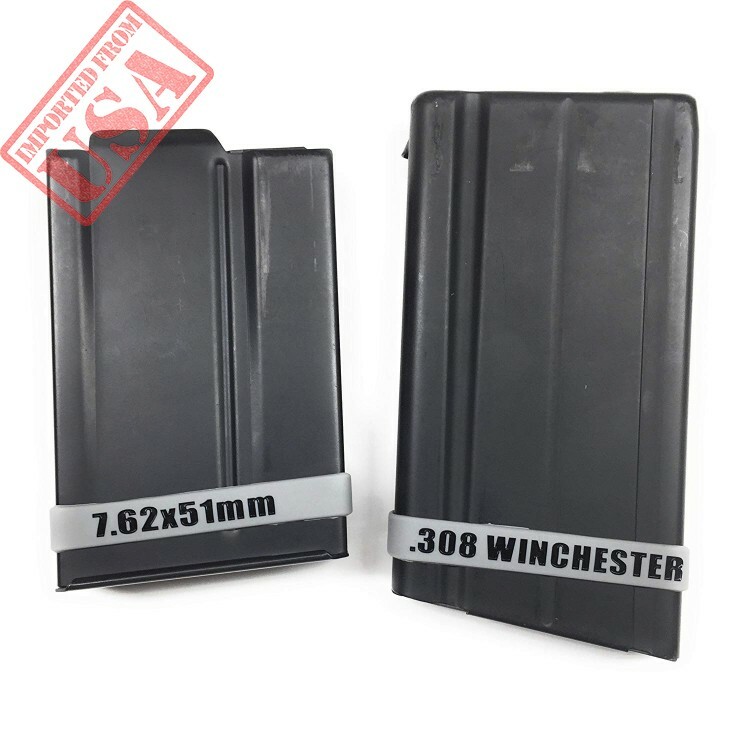 Images show fit on FAL and AICS pattern 308 mags.